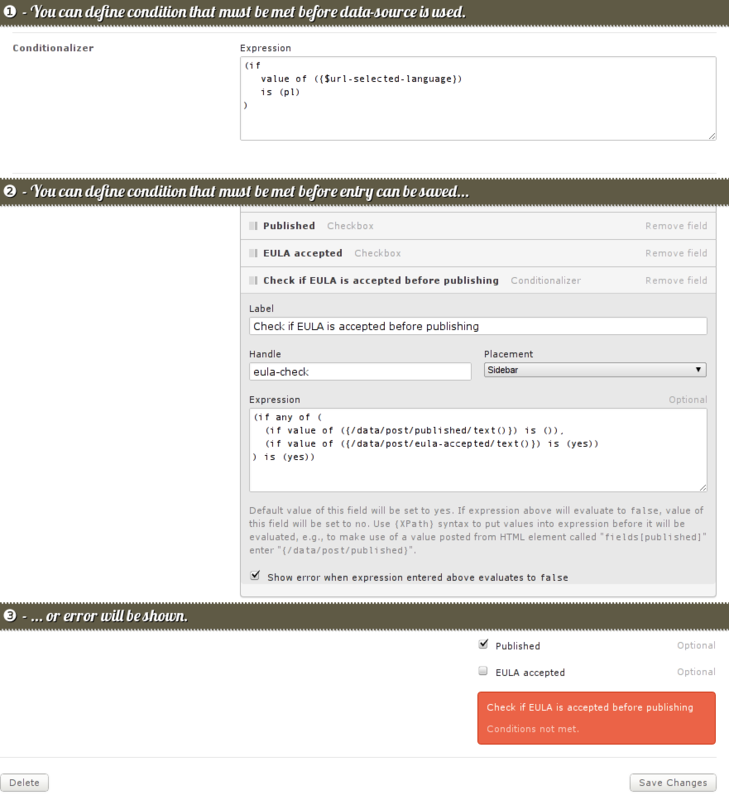 “Conditionalizer” – Extensions – Download – Symphony. Use expressions to execute data-sources conditionally. With Conditionalizer you can use special expression syntax to use data-sources conditionally. You can also use the same syntax to "filter" value of this field before it is saved to the database and prevent entry from being saved at all if field's value evaulates to no. Expression syntax is described in README.markdown file.